More Fried Hogg: Parkland Survivor Deep Fries David Hogg - One Of The Best Rebukes Yet! 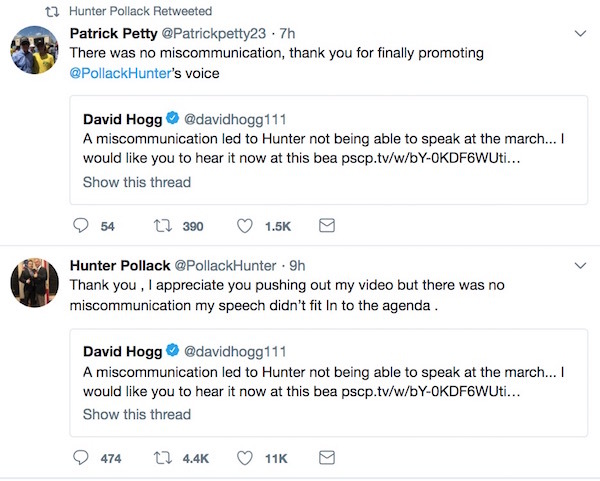 More Fried Hogg: Parkland Survivor Deep Fries David Hogg – One Of The Best Rebukes Yet! We’re talking about Patrick Petty. Haven’t heard of him, you say? his 14-year old sister, Alaina, was killed in the Parkland shooting. Hogg would’ve made a pretty decent brownshirt back in the pre-World War II day. Those are the National Socialist party people who ran around Germany strong-arming and bullying and intimidating the general populace into accepting the goals of the Nazi organization. Not saying Hogg’s one now — goodness, no. There are advertisers to consider, of course. Just saying his demeanor, his rhetoric, his whiney demands, his illogical views of the Second Amendment, his refusal to consider facts and historical truths over emotionally charged screams — all that, added up and considered, suggests he may have missed his calling by a few decades, and an Atlantic Ocean. Sorry for your loss. Unfortunately your narrative doesn't fit what they are preaching. Stay strong. I’m so very sorry for your loss. You and your family have been in my prayers and thoughts nonstop. You & @rpetty are truly role models for the future on how to correct and adjust the system to prevent future potential tragedies. God bless you all. I am so sorry….thank you for taking the road less traveled. God bless you. My deepest condolences on the loss of your sister, Alaina. God Bless you and your family. Your sister is a hero. She made that casualty count lower than it could have been. Cherish the fact that u can remember your sister for the heroic, caring person that she obviously was. 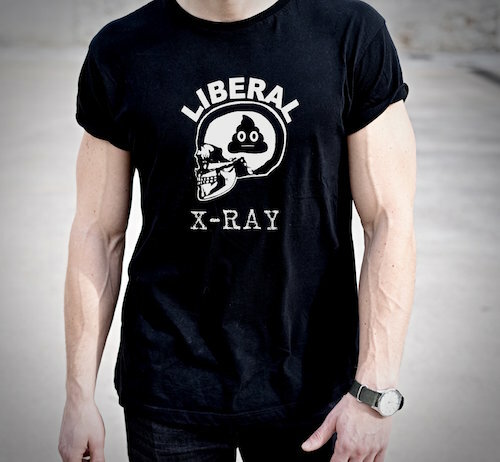 You're better than hogg and crew. 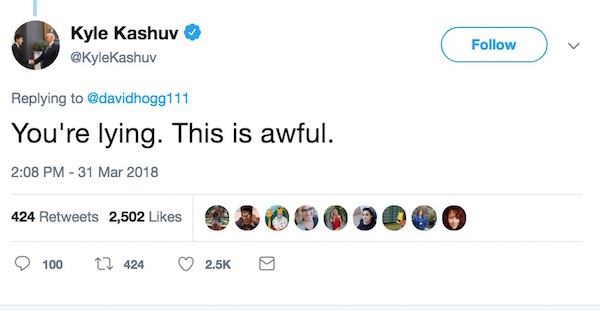 They care nothing about the victims. 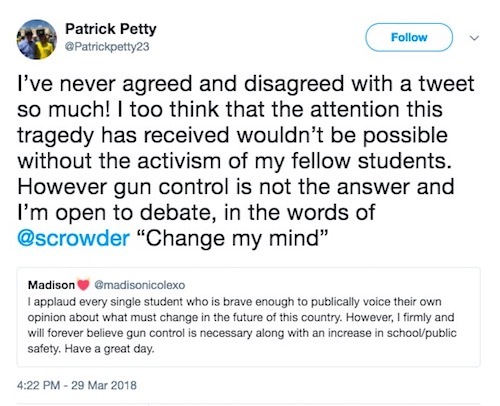 Petty, like Kashuv, want to debate what to do about school shootings, but believe the problem to be complex and multi-faceted. Please share this video so as many people as possible can hear this beautiful message… We need an intersectional approach to this issue to save as many lives as we can. This isn’t left or right, it’s about saving lives. Through unity and love we will win and end gun violence.